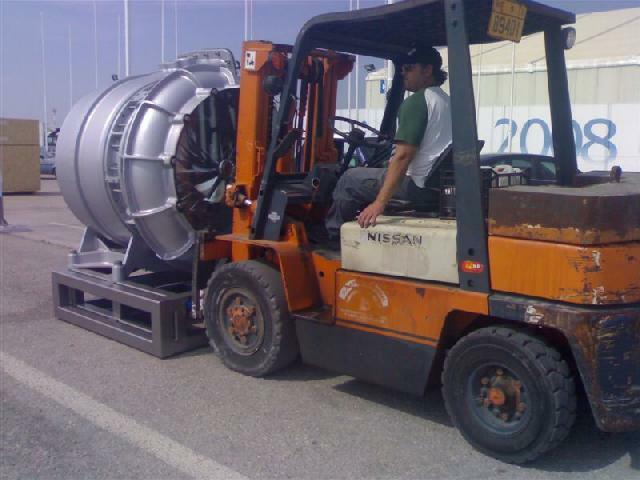 Mastoras Lift is company specialized in loading and unloading services, forklift rentals with a great experience in exhibition construction area. We offer full coverage of customers needs combining fast and accurate services, in a reasonable price. 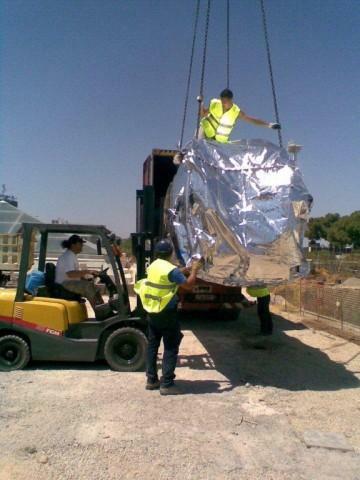 The success of the company is due to our modern equipment, that is to say, the latest technology lifting equipment that meets all the safety and operating requirements based on European legislation and is equipped with all necessary documents (operating licenses, insurance certificates for Civil Liability and damage to third parties in the Exhibition Centers), but mainly in the capacity and efficiency of our staff, who for many years has been working in Exhibition Centers and has acquired heretic specialization. All our operators are licensed to operate the machines and wear special uniform so they can be easily identified. Guarantee and proof of our ascendant course is the fact that our customers have been constantly trusting us since 1985. 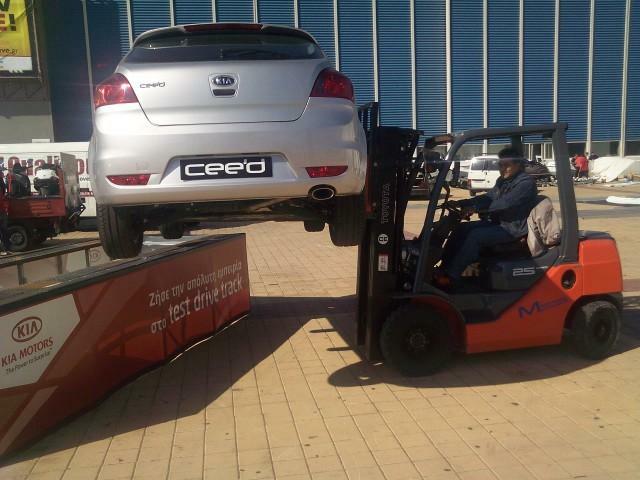 Loading and Unloading, no matter of the size or the weight of the object. Pallet trucks and Platforms trasfer. Object lift and trasfer in confined spaces. 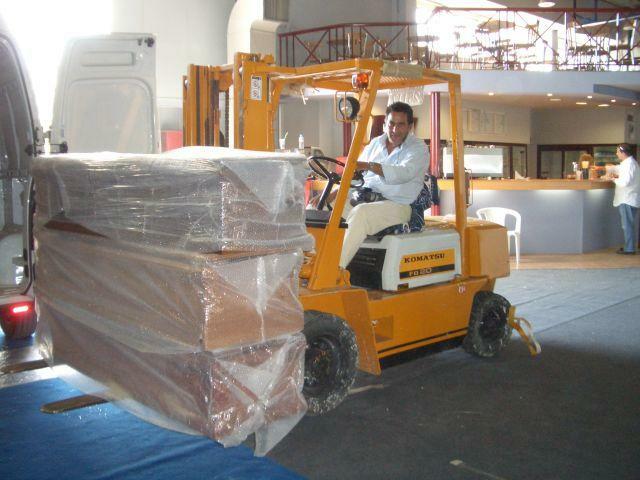 Forklift and crane transfer with privately owned trucks.